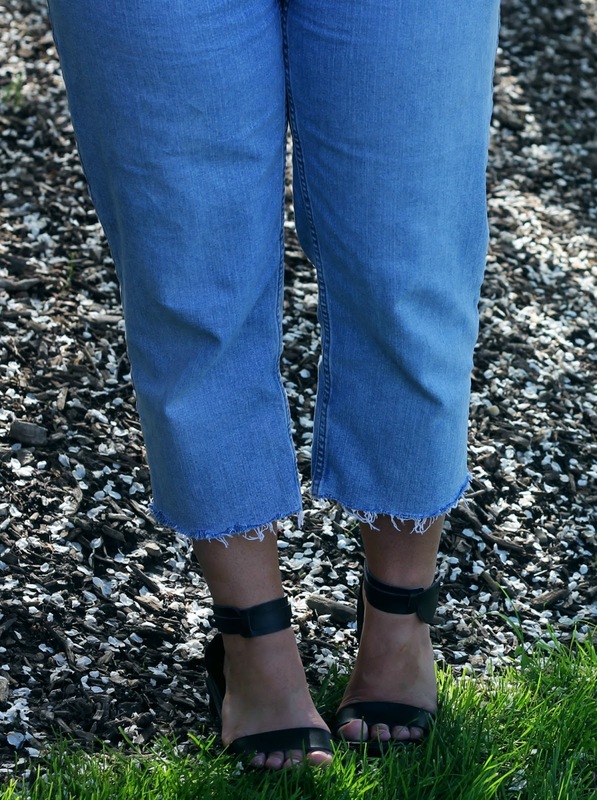 Frayed Jeans (very similar for $25): Thrifted DIY. 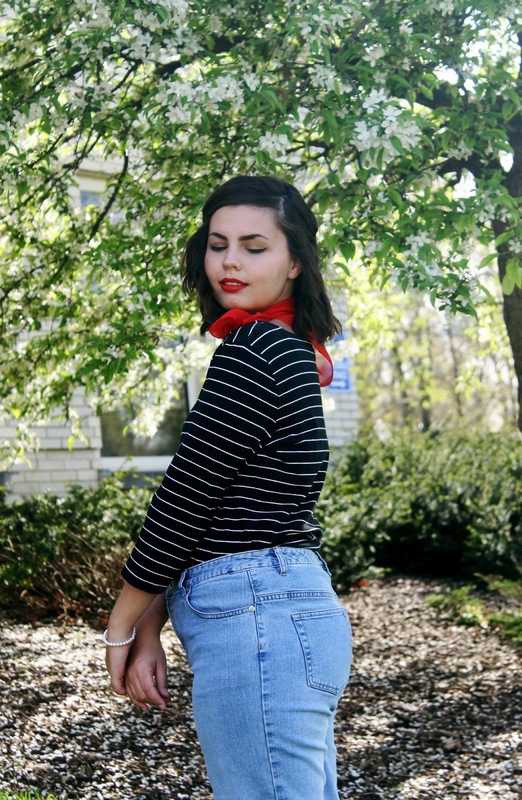 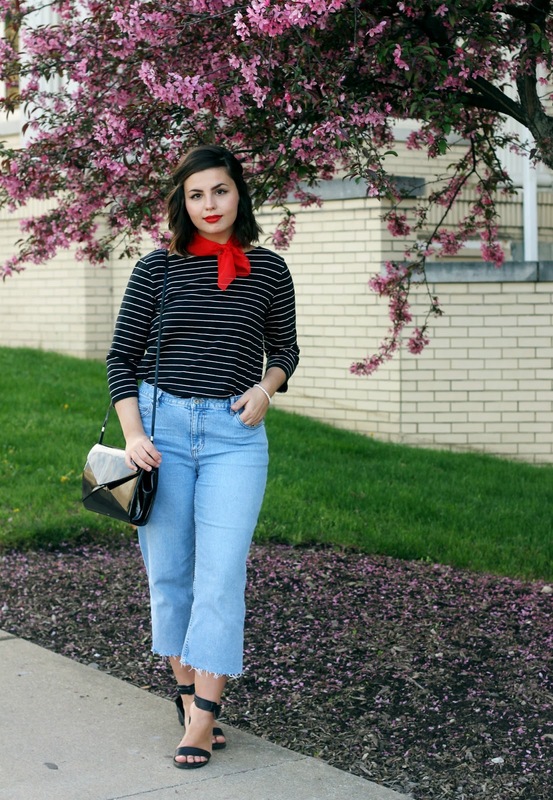 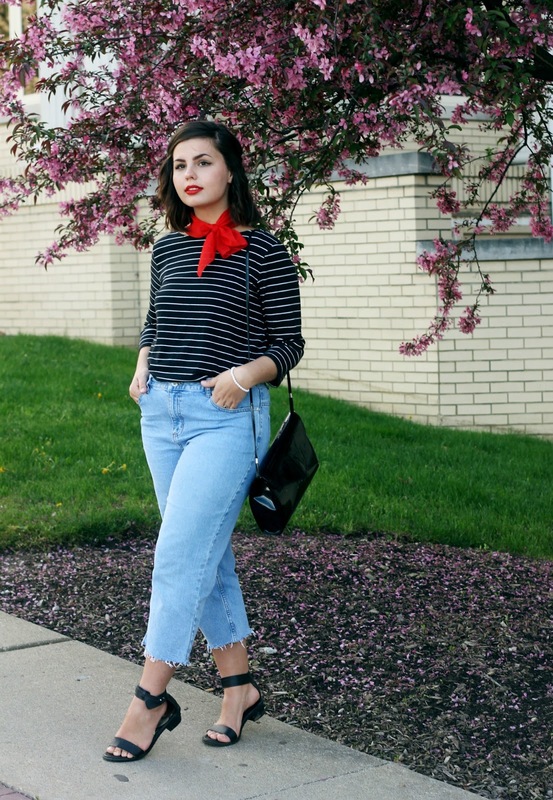 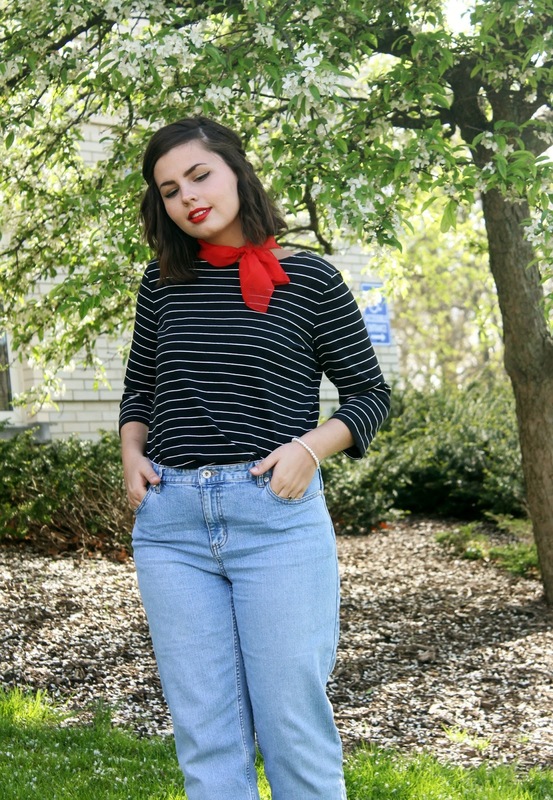 Striped Boat Neck Shirt (very similar): Thrifted. 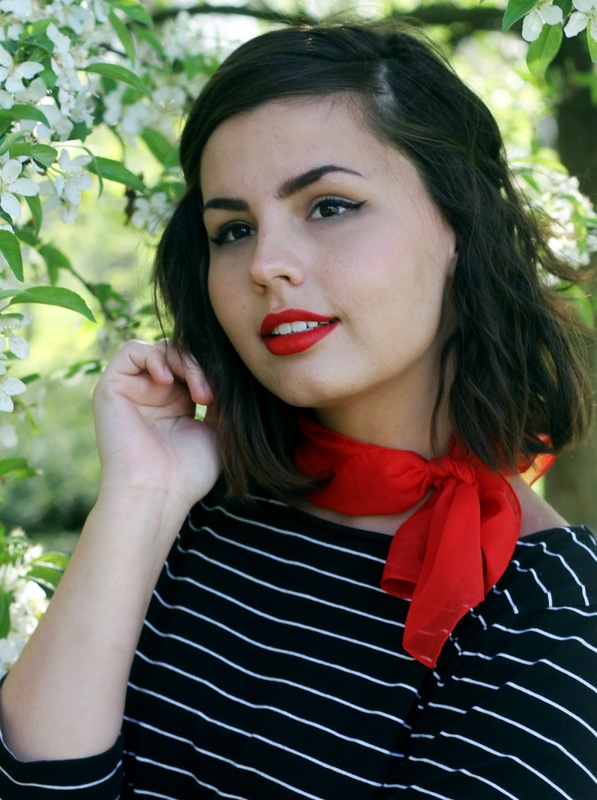 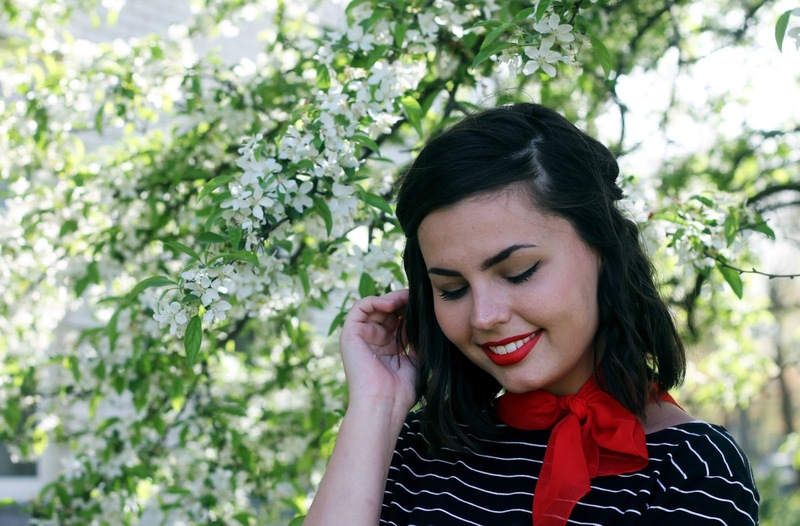 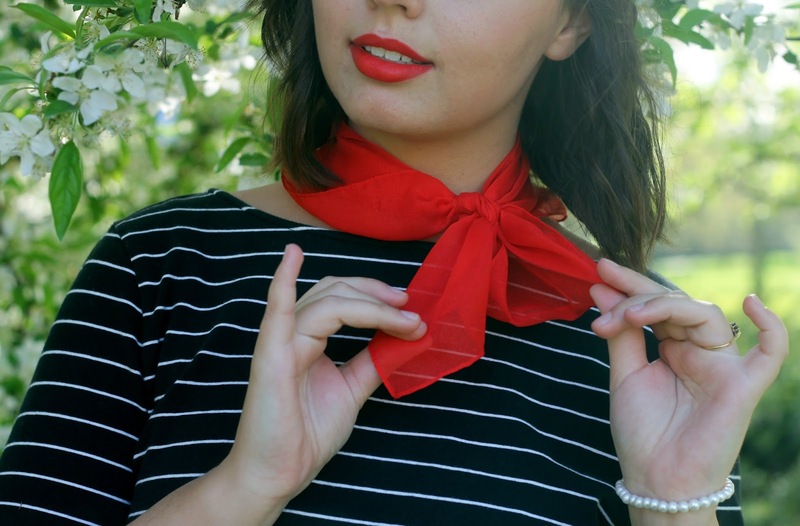 Red Neck Scarf (similar): Thrifted. 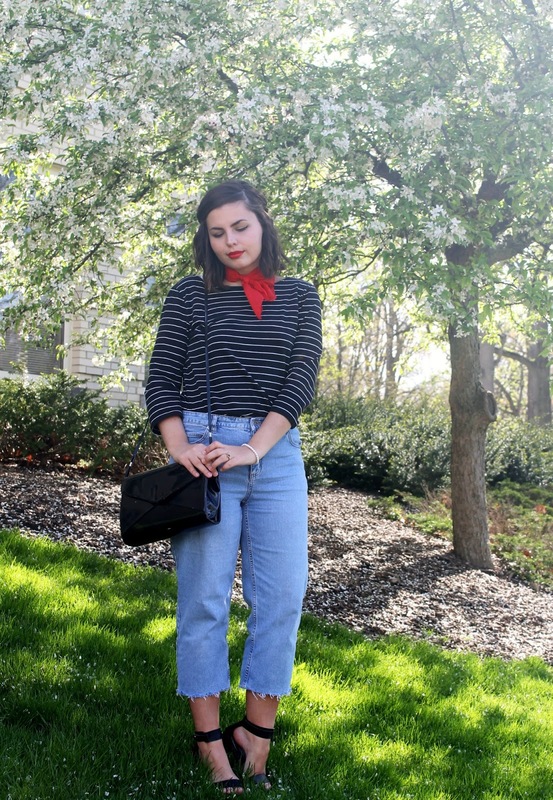 Patent Envelope Bag (similar): Thrifted. 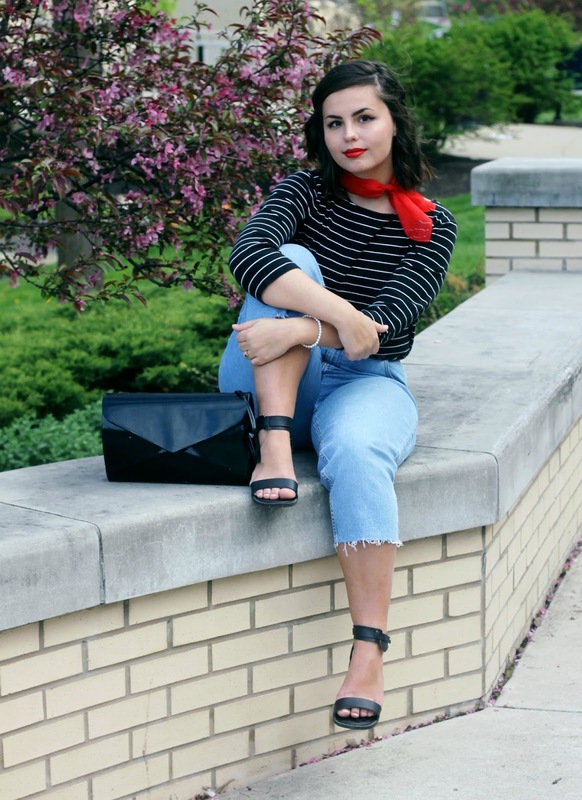 Black Ankle Strap Sandals (similar): c/o Boohoo.